By the way, Ask just announced that they will support the canonical link element. Read all about it in the Ask.com blog entry. Thanks again to Wysz for turning this into a great video. In fact, you might not have seen it, but we recently created a webmaster videos channel on YouTube. If you're interested, you can watch the new webmaster channel. If you subscribe to that channel, you'll always find out about new webmaster-related videos from Google. presentation, Matt Cutts said that one of the things to look for from Google in 2009 is continued communication with webmasters. On the Webmaster Central team, we've found that using video is a great way to reach people. We've shown step-by-step instructions on how to use features of Webmaster Tools, shared our presentations with folks who were unable to make it to conferences, and even taken you through a day in the life of our very own Maile Ohye as she meets with many Googlers involved in webmaster support. We plan on releasing more videos like these in the future, so we've opened up our own channel on YouTube to host webmaster-related videos. Our first video is already up, and we'll have more to share with you soon. If you want to be the first to know when we release something new, you can subscribe to us using your YouTube account, or grab this RSS feed if you'd like to keep track in your feed reader. Please let us know how you like the channel, and use the comments in this post to share your ideas for future videos. And while we'll all do our best to make sure Matt Cutts understands that Rick Rolling is so last year, be careful where you click on April 1st. In his State of the Index presentation, Matt Cutts said that one of the things to look for from Google in 2009 is continued communication with webmasters. On the Webmaster Central team, we've found that using video is a great way to reach people. We've shown step-by-step instructions on how to use features of Webmaster Tools, shared our presentations with folks who were unable to make it to conferences, and even taken you through a day in the life of our very own Maile Ohye as she meets with many Googlers involved in webmaster support. extension is often used to work with parameters (sometimes called placeholders or bind variables) instead of embedding user input in the statement. Another really easy technique is character escaping, where all the dangerous characters that can have a direct effect on the database structure are escaped. For instance, every occurrence of a single quote ['] in a parameter must be replaced by two single quotes [''] to form a valid SQL string literal. These are only two of the most common actions you can take to improve the security of a site and avoid SQL injections. Online you can find many other specific resources that can fit your needs (programming languages, specific web applications ...). The other technique that we're going to introduce here is cross-site scripting (XSS). XSS is a technique used to inject malicious code in a webpage, exploiting security vulnerabilities of web applications. This kind of attack is possible where the web application is processing data obtained through user input and without any further check or validation before returning it to the final user. You can find some examples of cross-site scripting at the Web Application Security Consortium. Creating a layer between data input and the back end to avoid direct injection of code in the application. SQL injection and cross-site scripting are only two of the many techniques used by hackers to attack and exploit innocent sites. As a general security guideline, it's important to always stay updated on security issues and, in particular when using third party software, to make sure you've installed the latest available version. 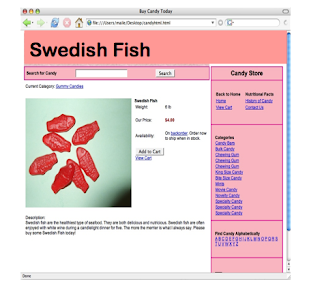 Many web applications are built around big communities, offering constant support and updates. To give a few examples, four of the biggest communities of Open Source content management systems—Joomla, WordPress, PHP-Nuke, and Drupal—offer useful guidelines on security on their websites and host big community-driven forums where users can escalate issues and ask for support. For instance, in the Hardening WordPress section of its website, WordPress offers comprehensive documentation on how to strengthen the security of its CMS. Joomla offers many resources regarding security, in particular a Security Checklist with a comprehensive list of actions webmasters should take to improve the security of a website based on Joomla. On Drupal's site, you can access information about security issues by going to their Security section. You can also subscribe to their security mailing list to be constantly updated on ongoing issues. PHP-Nuke offers some documentation about Security in chapter 23 of their How to section, dedicated to the system management of this CMS platform. They also have a section called Hacked - Now what? that offers guidelines to solve issues related to hacking. If you're not already familiar with the site: search operator, it's a way to query Google by restricting your search to a specific site. For example, the search site:googleblog.blogspot.com will only return results from the Official Google Blog. When adding spammy keywords to this type of query, Google will return all the indexed pages of your website that contain those spammy keywords and that are, with high probability, hacked. To check these suspicious pages, just open the cached version proposed by Google and you will be able to spot the hacked behavior, if any. You could then clean up your compromised pages and also check for any anomalies in the configuration files of your server (for example on Apache web servers: .htaccess and httpd.conf). If your site doesn't show up in Google's search results anymore, it could mean that Google has already spotted bad practices on your site as a result of the hacking and may have temporarily removed it from our index, due to infringement of our webmaster quality guidelines. You will receive an email alert whenever these keywords are found in the content of your site. You can also use Google's Webmaster Tools to spot any hacking activity on your site. Webmaster Tools provide statistics about top search queries for your site. This data will help you to monitor if your site is ranking for suspicious unrelated spammy keywords. The 'What Googlebot sees' data is also useful, since you'll see whether Google is detecting any unusual keywords on your site, regardless of whether you're ranking for them or not. If your site is exploited to place malicious software such as malware, you will see a malware warning on the 'Overview' page of your Webmaster Tools account. Hacked behavior removed, now what? If your site was serving malware to users, please submit a malware review request on the 'Overview' page of Webmaster Tools. We hope that you'll find these tips helpful. If you'd like to share your own advice or experience, we encourage you to leave a comment to this blog post. Thanks! These days, the majority of websites are built around applications to provide good services to their users. In particular, are widely used to create, edit and administrate content. Due to the interactive nature of these systems, where the input of users is fundamental, it's important to think about security in order to avoid exploits by malicious third parties and to ensure the best user experience. There are many different types of attacks hackers can conduct in order to take partial or total control of a website. In general, the most common and dangerous ones are SQL injection and cross-site scripting (XSS). SQL injection is a technique to inject a piece of malicious code in a web application, exploiting a security vulnerability at the database level to change its behavior. It is a really powerful technique, considering that it can manipulate URLs (query string) or any form (search, login, email registration) to inject malicious code. You can find some examples of SQL injection at the Web Application Security Consortium. There are definitely some precautions that can be taken to avoid this kind of attack. 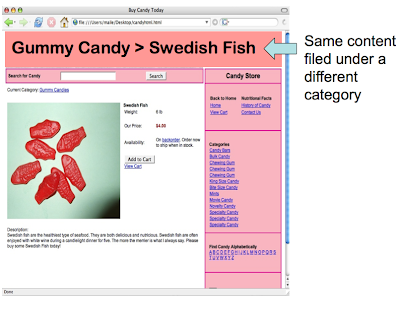 For example, it's a good practice to add a layer between a form on the front end and the database in the back end. In PHP, the PDO extension is often used to work with parameters (sometimes called placeholders or bind variables) instead of embedding user input in the statement. Another really easy technique is character escaping, where all the dangerous characters that can have a direct effect on the database structure are escaped. For instance, every occurrence of a single quote ['] in a parameter must be replaced by two single quotes [''] to form a valid SQL string literal. These are only two of the most common actions you can take to improve the security of a site and avoid SQL injections. Online you can find many other specific resources that can fit your needs (programming languages, specific web applications ...). from the Web 2.0 Summit late last year, so we decided to post another video. This video recreates the "State of the Index" talk that I did at PubCon in Las Vegas late last year as well. You can also access the presentation directly. Thanks again to Wysz for recording this video and splicing the slides into the video. It seems like people enjoyed when I recreated my Virtual Blight talk from the Web 2.0 Summit late last year, so we decided to post another video. This video recreates the "State of the Index" talk that I did at PubCon in Las Vegas late last year as well. and our related support efforts. If you have a few extra minutes this week, please click here to give us your honest feedback. Thanks from all of us on the Webmaster Central Team. You're a webmaster, right? Well, we love webmasters! To ensure we give you the best support possible, we've set up a survey to get your thoughts on Webmaster Central and our related support efforts. If you have a few extra minutes this week, please click here to give us your honest feedback.